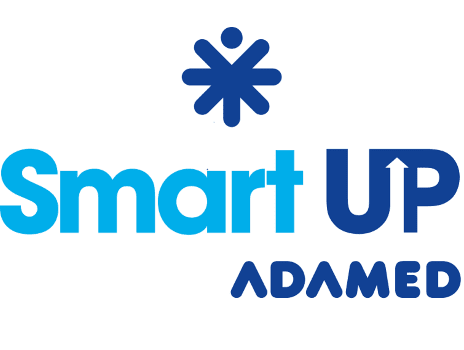 Catalase, hydroxide, oxidation, combined glucose molecules and amylase – ADAMED SmartUP will once again prove that these terms are not as difficult as they would seem. The newest popular-science video, concerning the role of enzymes, is already available on the programme’s website. In the latest educational material, Szymon Drobniak, a doctor from the Jagiellonian University, presents the topic of enzymes “in a nutshell”. Using a couple of experiments, like for example, spectacularly foaming ground animal liver, Dr. Drobniak is able to explain in detail the extraordinary properties of enzymes and their role in life. He has many years of experience in conducting popular science lectures, so he can present complicated knowledge in a straightforward and comprehensible way. In all video clips, published as a part of ADAMED SmartUP, we aim to eliminate over-simplification. We are convinced that it is possible to talk about science using specialist terms and still talk about it in an interesting and attractive way for young people. Dr. Drobniak proves this point in our latest material – says Anna Kosińska, head of the ADAMED SmartUP programme. Dr. Drobniak’s clip is available on the ADAMED SmartUP educational platform, under the Academy tab. Several other educational materials, prepared by the project’s experts, are available there too including lesson scenarios, which could be an interesting extension of the curriculum. Dr. Drobniak also prepared two interesting scientific puzzles for anyone passionate about natural science. The first one concerns the behaviour of chlorophyll when lit up using ultraviolet radiation, and the second one is about solving the mystery of a glass bottle, filled with a flammable substance.